Does this mean that authorship once counted as one of the ranking signals is gone? Probably not. One of the reasons, I feel is that Google has demoted the author markup and ignored it from displaying in the front end because of spam. 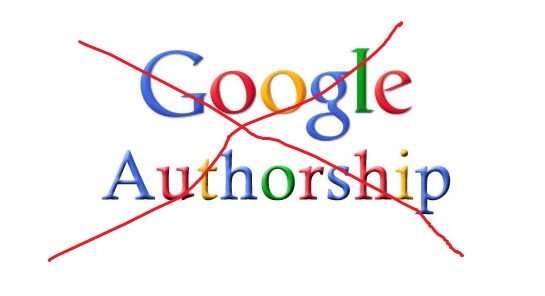 Google wanted to use authorship as a signal for displaying content from reputable authors higher up in the search results because people would have trusted them more. But, there was no surety that the author displayed using the markup is the original creator of the content. Also, several of the pictures used in the markp were not original. Hence, the sole purpose of Google was defeated and it had to drop the idea of displaying author information in the search results. Yes, Google will still count the author rank but only from clearly distinguished authors and not of everyone (this is my personal opinion). Think of authors and industry experts who have a Wikipedia page, Google can easily trust those authors and detect content written by them. Other than that which authors will receive a boost is yet not known. Danny Sullivan also reported that Author rank is fine and should stay alive. Well, more concentration should now be put into rich snippets and how well your site is able to utilize its benefits. Yes, structured data and rich snippets are still supported by Google. Also, Google will continue to display Google Plus posts shared by your friends in your circles in the search results if you are logged in. So, in that case, you might see author information in the search results but those will remain local to your profile only. Please don't get confused with these author snippets as they have a limited local display. Please note: Google has hinted aboout the use of author rank but never really clarified its stands on using it as a ranking factor. So, the opinion expressed here is my own and not of Google.